The performance of any vehicle or piece of machinery relies heavily on the type of fuel you put in it but while most fuels contain carefully formulated additives it isn’t always enough. 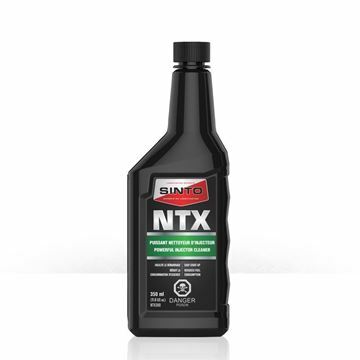 SINTO’s wide range of high tech fuel treatment products are designed to get the most out of anything from cars and trucks to industrial machinery, regardless of how new, used or abused it may be. If your fuel system becomes clogged by impurities its ability to provide a clean, clear supply of fuel for combustion will be drastically impaired and your engine’s power will suffer as a result. By helping to clear gum, sludge, varnish and other crud away from components such as your fuel injectors, intake valves and carburetor, fuel treatment products help to maintain power and performance in newer vehicles while restoring power to those that are older. Fuels that burn extremely quickly can sometimes ignite prematurely in the combustion chamber; the result is a common issue known as ‘engine-knock’ that can seriously undermine your engine’s power. Octane boosting fuel treatment products can slow down the rate at which your fuel burns and prevent premature combustion from taking place, ensuring that you are getting maximum horsepower from your engine every time those spark plugs fire. A build-up of crud and other impurities won’t just impact your engine’s power; it can cause abrasion, corrosion and degrade your fuel systems various components to the point that expensive maintenance and repairs are necessary. Investing in fuel treatments can therefore save you hundreds or even thousands of dollars in the long run. 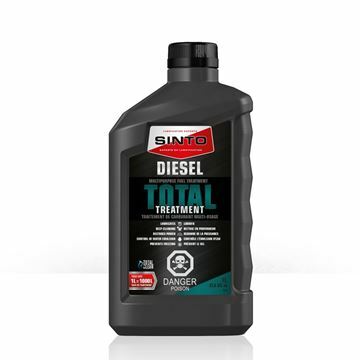 If you’d like to get your vehicle running smoother, cleaner and more powerfully, SINTO’s quality selection of fuel treatment products can help. If you have questions, concerns or would like to place an order, give us a call or contact us online today.